Are your LeadJig landing pages looking a little bare? Whether you’re a new LeadJig user or just need a reminder of all the customization features we offer, this blog covers how to add a biography, videos, highlights, and more to your LeadJig landing page. To start, simply click on the “Preferences” tab, located on the left-hand side of the main menu of LeadJig. From here, you’ll be able to edit basic settings like your first/last name, email, phone number, and time zone. You even have the option to include your business hours and default appointment duration. 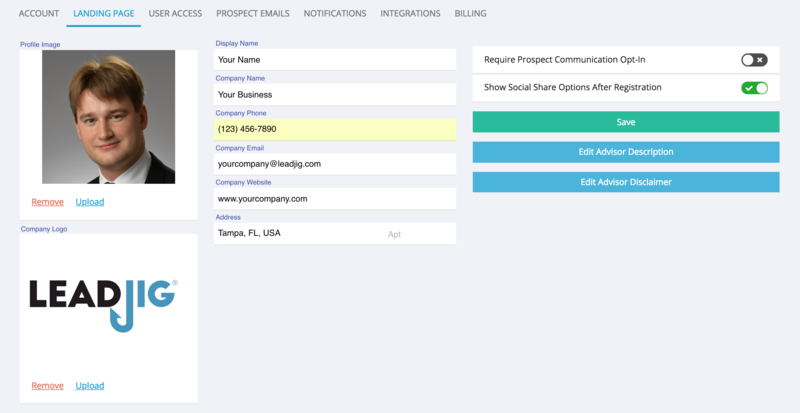 The “Landing Page” section allows you to directly change the information on your landing page. We highly recommend filling out or pasting a pre-existing bio, into the “Advisor Description” box. This information will be visible on your landing page and will give your possible clientele an idea about you and your services. You can also add any company disclaimers in the box titled “Company Disclaimer”. Don’t forget to include a profile image and a company logo. This can be done by simply clicking the “Upload” link under both the default pictures. Do note that the photo may appear disfigured on this page, but will not affect the image displayed on your landing page. 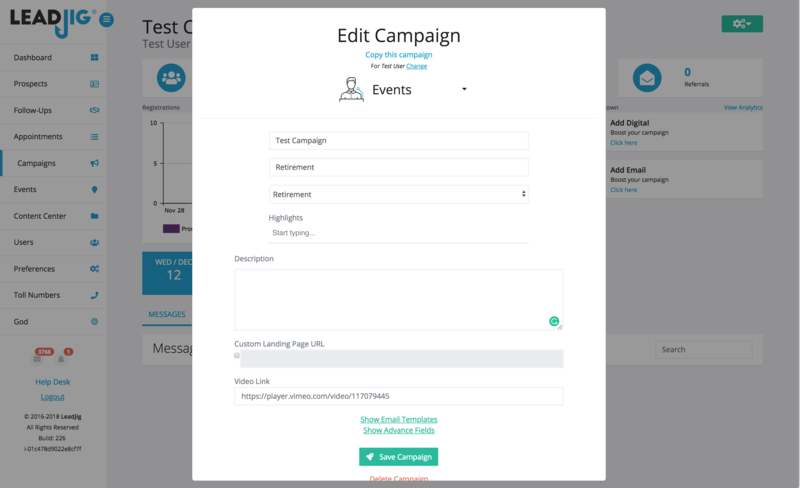 Did you know you can add event highlights and videos to your landing page? We’ve simplified the process so both can be done through the Campaign Overview page. Simply click the “Campaigns” section of the site and select the campaign you would like to modify. Once you’ve landed on the Campaign Overview page, click on the green button in the top right corner. Select the “Edit Campaign” link. This should open a new window with several options for making changes to your campaign. This window allows you to change basic settings like your campaign name, topic, and category. If you have your own landing page you’d prefer to use, simply link it under the “Custom Landing Page URL”. 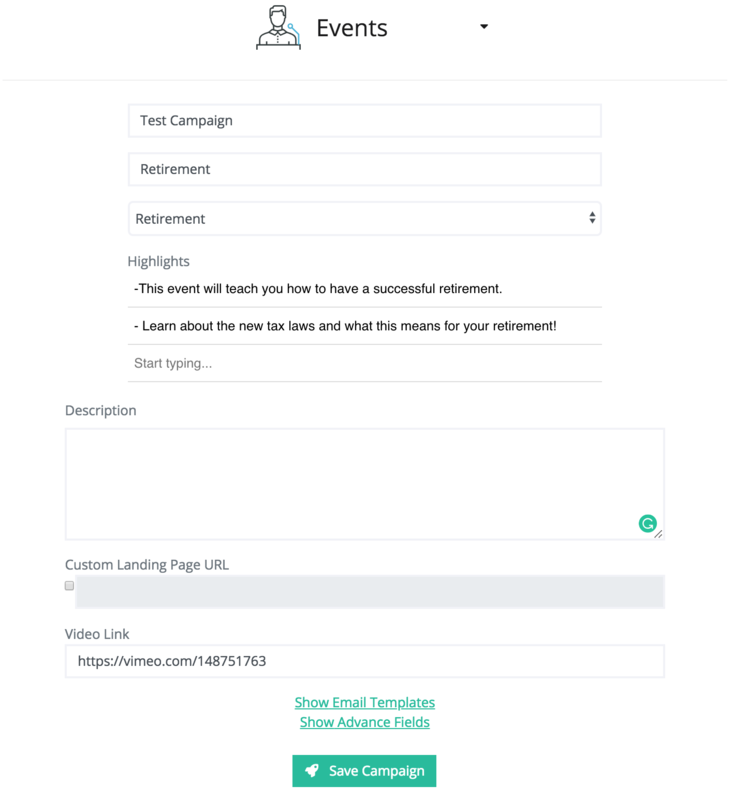 If you’d prefer to use LeadJig’s, this pop up will also give you the opportunity to add a description, highlights, and a video to your landing page. The “Highlights” section can be utilized to highlight what topics will be covered at your events. Pressing enter will move you to the next highlight, and leaving the last field blank will indicate that there are no more highlights to present on the landing page. To add a video to your landing page you must first upload it to Vimeo (www.vimeo.com) or Youtube (www.youtube.com). Both will work, but Vimeo is preferred since it is more professional than YouTube. Once it is uploaded, simply copy and paste the link to the video under the box titled “Video Link”. Please make sure that the link format matches the one displayed in the field, or else the video will not load. To save these changes, click the green “Save Campaign” button near the bottom of the window. 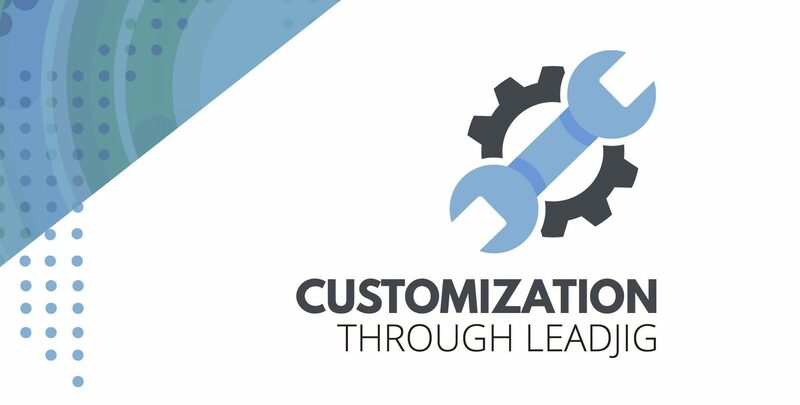 Congratulations, you just customized your landing page! 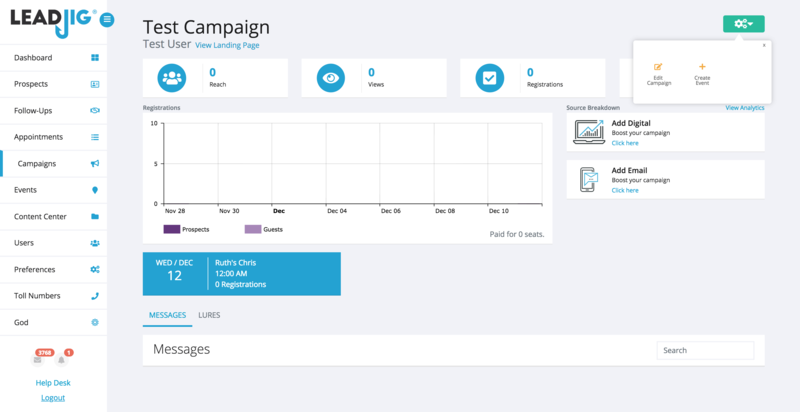 All of your changes will be visible through the “View Landing Page” link on your campaign overview. If you have any questions, feel free to reach out to our helpdesk directly, we are here to help!